This week I am continuing the Sunday Night Baseball with the breakdown of the National League East. With the recent addition of Harper, it caused a stir in my ratings. I have already broken down the AL West and the NL West, so click if you missed them. Let’s get started. Projected Lineup: Andrew McCutchen OF, JEan Segura SS, Bryce Harper OF, JT Realmuto C, Rhys Hoskins 1B, Maikel Franco 3B, Odubel Herrera OF, Cesar Hernandez 2B. With the addition of Harper, this team surges into first place in the division. 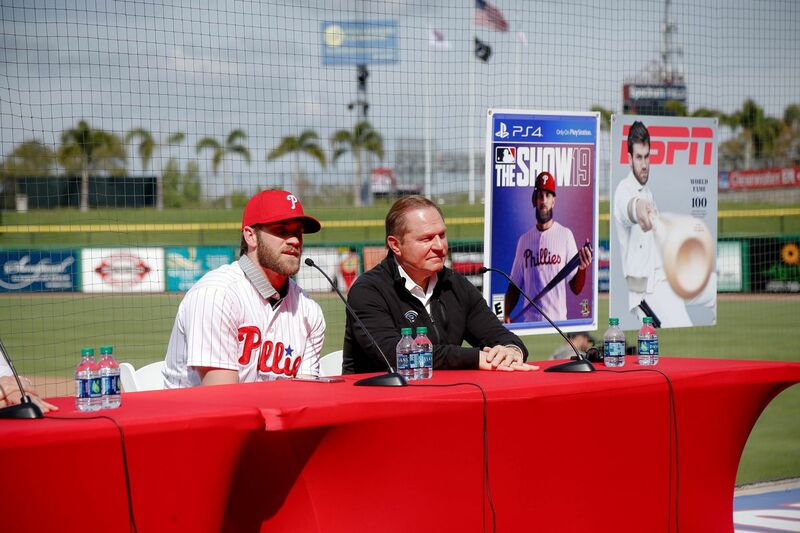 Not only did they add the most expensive free agent in history, they added JT Realmuto and resigned Aaron Nola. The Phillies are in a weird position. They have the best team in the division, but will they live up to it? Their rotation is decent, probably the second best in this division. I think their offense is what will lead them into the postseason, but they can only survive on their pitching past that point. I expect Harper to win NL MVP and I expect Nola to have a chance to win the Cy-Young. It just depends on if they remain healthy. A healthy Phillies team can make some noise, and a healthy Phillies team will finish 89-73. If they are not healthy, the Braves could overtake them… again. Projected Lineup: Ender Inciarte OF, Josh Donaldson 3B, Freedie Freeman 1B, Ronald Acuna OF, Nick Markakis OF, Ozzie Albies 2B, Dansby Swanson SS, Tyler Flowers C.
Projected Rotation: Kevin Gausman, Mike Foltynewicz, Julio Teheran, Sean Newcomb, Touki Toussaint. 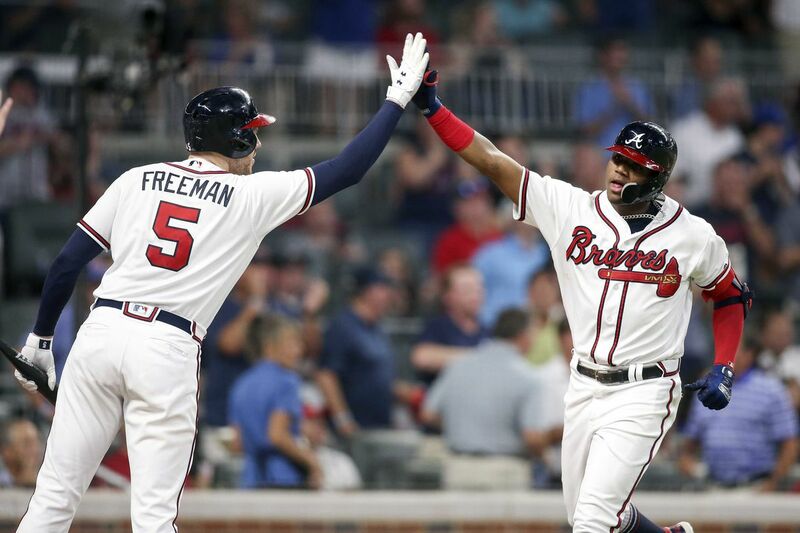 Could the Braves repeat as Division Champs? Yes. Will they? I do not think so. The Braves are going to be very similar to where they were last season. With only Donaldson as an addition, this team could get to 100 wins, but they could also get to only 70. The Braves are young. They will win a World Series within 10 years, if this talent stays, but they have virtually no veterans. Or at least effective veterans. I expect Acuna to go off, like last season and if they can get the Josh Donaldson of old to make a return, this team will make a ton of noise. I expect them to make a push for the Division, but I do not think they make it. Finishing 88-74. Projected Lineup: Adam Eaton OF, Trea Turner SS, Anthony Rendon 3B, Juan Soto OF, Brian Dozier 2B, Ryan Zimmerman 1B, Victor Robles OF, Yan Gomes C.
“I wanna bring a title back to DC…” Good thing Bryce is on broad this season! Oh wait… their star player and their slimmer of title hopes left? Oh no, so how does this team stand up straight? Simple: they have the best rotation in the league. They have the best pitcher in baseball with Scherzer. They have one of the best pitchers if he is consistent in Strasburg, and they signed the best pitcher in free agency with Corbin. They will have the best top 3 in the game. Their offense is what is scaring me. They have potential, especially with Adam Eaton, Trea Turner and Juan Soto, but if they don’t live up to expectations this Nationals team could slip far. I expect the Nats to feel the loss of Harper very much and I only expect them to get to 75 wins maximum. So, I’ll say 75-87. The Mets are very similar every single season. They have one of the best rotations in the game… IF and only IF they remain healthy. deGrom and Syndergaard are two of the top 10 pitchers in the league but Syndergaard can never remain healthy and deGrom is just too good for the Mets. I expect them to crap the bed early and often. Cano is washed up, so is Frazier. Ramos could mess around and win a batting title, but this team won’t do much. I think they’ll trade deGrom before the deadline and start a total rebuild next season. I have them finishing 70-92. 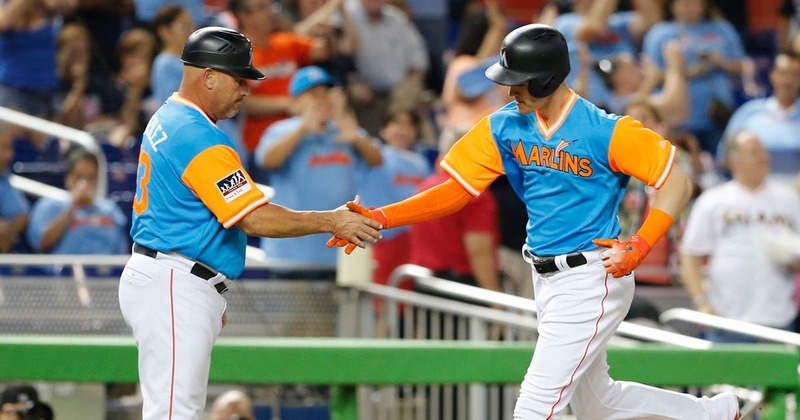 Projected Lineup: Curtis Granderson OF, Starlin Castro 2B, Brian Anderson OF, Neil Walker 1B, Martin Prado 3B, JT Riddle SS, Jorge Alfaro C, Lewis Brianson OF. Neil Walker is hitting clean-up for this team. If you need more information, look it up. They will be trash. 65-97, dead last in the division. POLL: Is NASCAR a Sport?